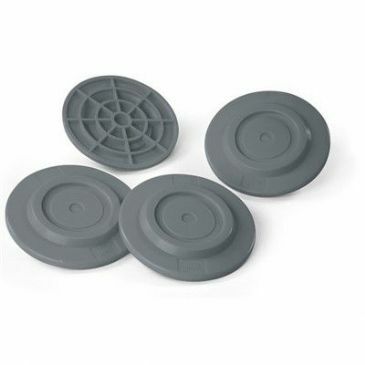 These Fiamma Plastic Stabilising Jacks are plastic UV-resistant jacks, bearing a maximum load of 750kg each. 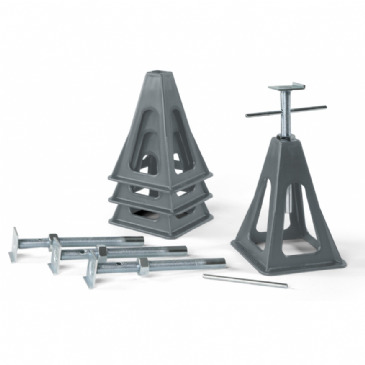 Courtesy of Fiamma's design, it is half the weight of aluminium jacks and comes in a package of 4 stacked pieces. 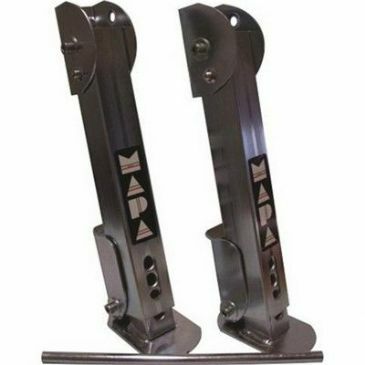 Featuring adjustable in heigh from 31cm minimum to 44cm maximum. 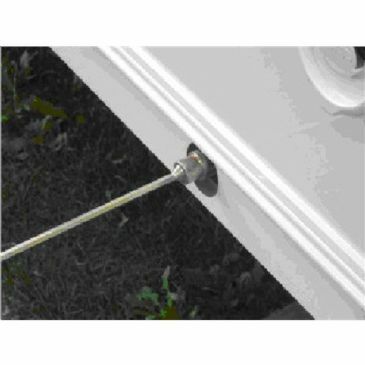 These Fiamma Pro Anti-Sink Jack Plates are for use at the feet of the caravan. 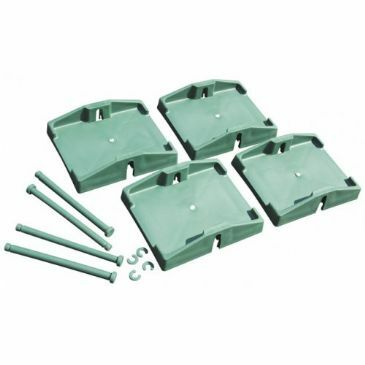 Complete as a kit of 4 highly-reinforced anti-sinking plates to be fastened to the vehicle's lifting jacks in black. Additionally, these can be permanently secured even when travelling the great outdoors. 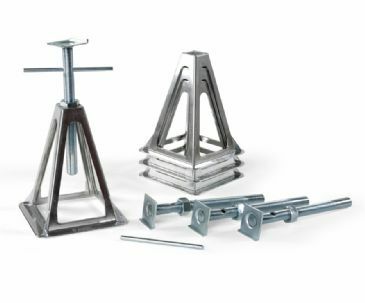 Simple installation either through two mounting bolts on the top of the leg fixing bracket or via welding a bracket to the chassis / outrigger. 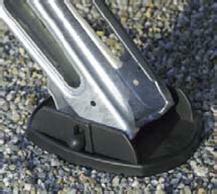 The leg is held in a horizontal stowed position.